← Looking for Love in all the wrong places . . . The FIRST things we have to understand is what LUKEWARM means . . . It is used only once in the text. It is used of the assembly/Messianic community/Church at Laodicea. I will vomit you out of my mouth! Yeshua (Jesus) – the Amen, the faithful and true witness, the Ruler of God’s creation: communicated this message through His angel (messenger) to Yochanan (John). How is hot used? Only in 3:15 and 3:16 which are both above as well. You may be confused. Surely hot and cold are in the text more than this! because of increased distance from Torah. Do you see the correlation here? Increased distance from Torah = love that diminishes = cold. make no hot-tempered man your companion. and find yourself caught in a trap. I add these things so that we can understand what is being said . . . how they were used THEN in language as opposed to now. 3:15-16. Cold water (and sometimes spiced hot water) was preferred for drinking, and hot water for bathing, but Laodicea lacked a natural water supply. Water piped in from hot springs six miles to the south, like any cold water that could have been procured from the mountains, would be lukewarm by the time it reached Laodicea. So, what is Yeshua (Jesus) stating through His messenger (angel) to Yochanan (John)? To answer this, we have to look at 4 words that are used daily in the headlines. Are you a Moderate? A Radical? A Fundamentalist? An Extremist? Which one should you not be? Here is a better question . . . Which one or ones was Yeshua (Jesus)? I am going to amplify and expound a verse in the text for you so that there is no misunderstanding of what is being said in the verse . . . both in the verse and the context of what He taught in other parts of the text. I am going to essentially remove the “wiggle room” as it were. to the Messiah to turn from sin and worldliness (human standards and reasoning) to God pursuing Holiness and peace . . .
to walk (as in our walk with God) as He walked. Do not love the world or the things of(in) the world. because all the things of the world — the desires of the old nature, the desires of the eyes, and the pretensions of life — are not from the Father but from the world. Which one should you not be? 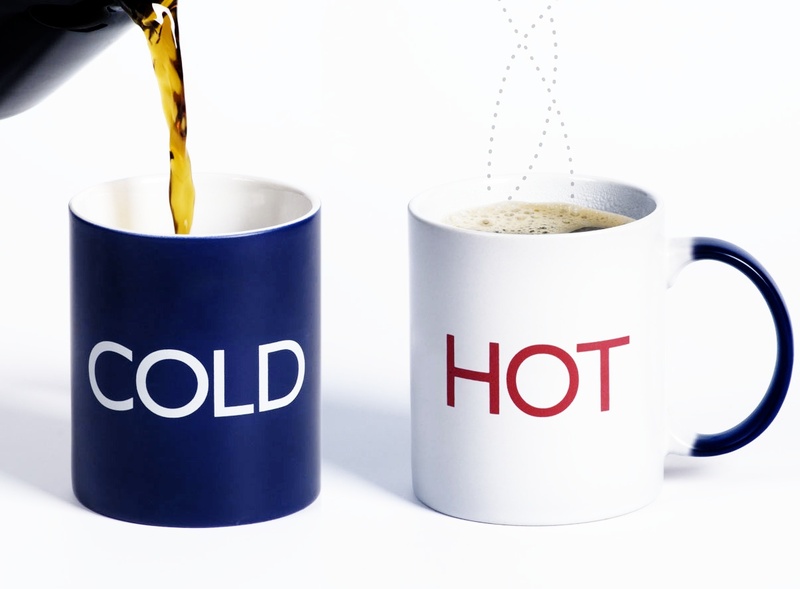 Which of the following terms describe the word LUKEWARM? Would an Extremist (A supporter of extreme doctrines or practice; one who holds extreme opinions. A person who strictly and literally follows a set of rules and laws especially about religion) be considered LUKEWARM? Would a Radical (pertaining to the root or origin; reaching to the center, to the foundation, to the ultimate sources, to the principles, or the like; original; fundamental; thorough-going; unsparing; extreme) be considered LUKEWARM? Would a Fundamentalist (the beliefs and a literal adherence to a set of basic principles) be considered LUKEWARM? Would a Moderate (to keep within bounds; to make temperate; to lessen; to allay; to repress; to temper) be considered LUKEWARM? If you remember what was written earlier, you have your answer . . .
Yeshua (Jesus) was an Extremist. Yeshua (Jesus) was NOT a moderate! He was NOT LUKEWARM! His polemic against lukewarm in Revelation is a polemic against moderate. How does this apply to Judaism? To Islam? To Christianity? We could go into many topics and many debates. One for each will suffice. Tel-Aviv has one of the largest homosexual parades in the world. Some have called it the “gay capital of the Middle East.” Around 200,00 people come to this 400,000 person population in Israel for this parade. I have been to Israel when they were preparing for it right after Shavu’ot (Festival of Weeks – First Fruits). They paint all of the crosswalks rainbow colored. Acceptance of homosexuality has been promoted in speeches by Benjamin Netanyahu, by the IDF (Israeli Defense Force) – recently about a transgender officer in the IDF, and by the Israel Ministry of Foreign Affairs. The Ultra-Orthodox are clearly against this but are a small minority of the Israeli population. Why are they to observe ALL of His regulations? so that the land to which I am bringing you will not vomit you out. Why are they NOT to live by the regulations of the former inhabitants? because they did all these things, which is why I detested (disgusted-loathe) them. What is being referenced in all these things? they must be put to death; their blood is on them. So here is the question . . .
concerning Adonai’s command to them concerning homosexuality? and He is most knowing of who is [rightly] guided. then bind a bond firmly (on them, i.e. take them as captives). until the war lays down its burden. He Himself could certainly have punished them (without you). But (He lets you fight), in order to test you, some with others. and that you like a thing which is bad for you. and sit in wait for them at every place of ambush. let them [go] on their way. Indeed, Allah is Forgiving and Merciful. What happens if they do NOT repent, establish prayer, or give zakah . . . in a word – convert? So now we come to the same question we posed of Judaism . . .
Let me ask a more pointed question . . .
are to be on your heart; and you are to teach them carefully to your children. put them at the front of a headband around your forehead, and write them on the door-frames of your house and on your gates. This is the greatest and most important mitzvah. Yeshua (Jesus) is asked by a man what he must do to inherit eternal life to try and trap Him . . .
“That’s the right answer,” Yeshua said. The two commands that are MOST IMPORTANT . . . The two commands that ALL of the others are DEPENDENT on . . . So let me pose some questions . . . If Christianity/Messianics followed just these 2 commands, would there be anyone hungry in America? If Christianity/Messianics followed just these 2 commands, would there be anyone homeless in America? But let me drive the point home farther . . .
or shut your hand from giving to your needy brother. and enable him to obtain what he wants. he will sit on his glorious throne. as a shepherd separates sheep from goats. and the ‘goats’ at his left. Sheep on the right, goats on the left . . .
the Kingdom prepared for you from the founding of the world. ‘Get away from me, you who are cursed! Go off into the fire prepared for the Adversary and his angels! What will happen to the goats on his left?!? Ignoring the poor . . . the homeless . . . . leads to one place . . . In a word . . . HELL! Churches and Shuls take in billions of dollars each year . . . They build extravagant houses of worship . . . multi-million dollar worship facilities . . .
and turn away the needy that call them on Monday . . .
2.5 million children are homeless in America (1 out of 30). This stat alone, is an indictment against the assemblies – the churches and shuls. So let me ask the same question that I posited concerning Judaism and Islam. concerning Adonai’s command to take care of the poor in our midst? Billions of dollars taken in . . . HUGE worship centers built . . . Poor ignored . . . homelessness in America an epidemic . . .
Is this what loving our neighbor looks like?!? neither hot nor cold . . . This entry was posted in History, Thoughts, Word Studies and tagged cold, hot, Love your neighbor, Lukewarm, poor, Sh'ma. Bookmark the permalink.